There are many reasons why OnCuba Travel is proud to make history with its groundbreaking beginnings, art collection, print publication, meeting point, and privileged location in Havana, Cuba. We are proud to invite you to tour our local office. See where the magic happens! Did you know that we are the first agency owned by a Cuban – American? That’s right. Our President and CEO, Hugo Cancio, is an internationally-renowned expert on the Cuban business environment and culture. Our office is also an active gallery space. We actively display a rotating exhibit of pieces by rising and established Cuban visual artists, such as Michel Mirabal and many more. Our space is also contemporary and artfully decorated by professional Cuban interior designers. OnCuba Travel is also home to our print publication, OnCuba Magazine. As a meeting point, our Havana office also serves to connect visitors with our team of Cuban writers and authors, contributing to the People to People exchange initiative between the US and Cuba. Let our staff peel back the curtains and show you the inner workings of our organization. Come visit us in the active district of Vedado in Havana. 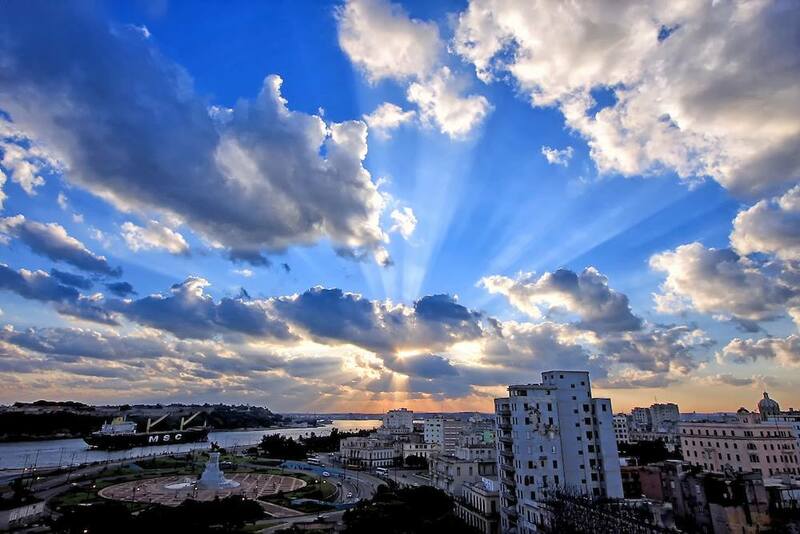 While you visit, enjoy the fantastic view of Havana from our large balcony and place in the sky. Click on the buttons below or call us at (+53) 7 8370393 in Cuba or at +1 (305) 6020219 in the US to plan your visit. By appointment only. See you in La Habana!